If it is private water you want, we have it! 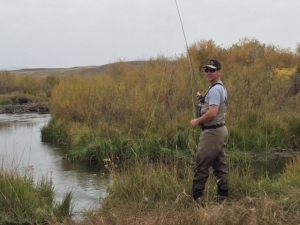 We carefully manage the use of several sections of the Lower Ruby River and have exclusive use of several spring creeks, meadow streams, and ponds on private ranches. Every place we fish is just a short jaunt from the lodge. Reservations for private water are advised and there are rod fees per day use. Call Mike, 406-459-2030, if you are interested in what we have to offer.